The reality of project failures is that BI is no different than any other large IT project, says Mark Madsen, president and founder of Third Nature. The business intelligence (BI) industry reached the point of diminishing returns for value about 10 years ago. Today, BI technology is a commodity. So says Mark Madsen, president and founder of Third Nature, and one of the international keynote speakers at the upcoming ITWeb BI Summit, to be held in March, in Johannesburg. "Every organisation receives a lot of value when establishing a BI programme, assuming it is done reasonably well. After the systems have been in production for a while, it becomes progressively harder to find large gains. "In essence, the low-hanging fruit that justified the data warehouse and BI investments has been picked, leaving progressively smaller value from each increment in technology investment. It's at this point that forward-looking firms explore the next options," he says. Madsen says most of the major firms have well-established BI initiatives. "Everyone has their complaints, but for the most part, these programmes do the job of delivering data to people. What they don't do well is cope with the last two decades of growth." The reality of project failures, he states, is that BI is no different than any other large IT project. "Data on project failure rates goes back to the early '70s, with Barry Boehm's seminal work on software development failure. It has always hovered between 50% and 60%, until software could be bought off the shelf for major, complex aspects of a system - exactly the point where these components become commodities and compete more on cost efficiencies than on differentiable features. "We're at a point in the market where people are looking for differentiation and better ways to compete. New thinking is required, because much like the mainframe reporting systems of the 1980s, BI and data warehousing have become rigid. Companies complain not so much because of BI failures, but because of BI's failure to adapt. 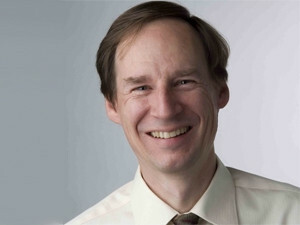 Methods, architectures and technologies are 20 years old, and little has changed until the last few years," says Madsen. Madsen will assist BI practitioners to develop a roadmap for the way forward, during his presentation on 'BI and business value - what we're getting and what we should demand' at the ITWeb BI Summit. He will be joined by other local and international BI subject matter experts. Click here to access the programme for the event and take advantage of the early-bird offer.